The company pioneered the concept of ready to cut all type of Auto Striper fabrics and introduced the system for the first time in Tirupur. Customers can just bring their samples and take back ready to cut fabrics. 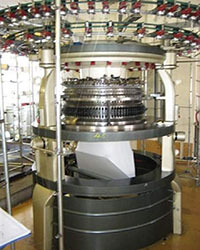 Right from sourcing the best quality yarn to knitting, washing, drying, compacting and stentering, KNITSBURG PRIVATE LIMITEDcarry out all the operations to perfection. 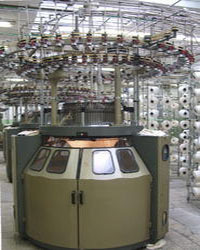 This enables the customer to have considerable saving in terms of time, labour and cost. The success ofKNITSBURG PRIVATE LIMITEDlies in their constant quest for excellence, investment in the world class technology and a total commitment to customer's delight. TIRUPUR - 641 605, TAMILNADU, INDIA. Marketing : 98435 99870,98435 99874. The company pioneered the concept of ready to cut all type of Auto Striper fabrics and introduced the system for the first time in Tirupur. Customers can just bring their samples and take back ready to cut fabrics. 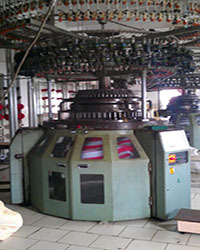 Right from sourcing the best quality yarn to knitting, washing, drying, compacting and stentering, VELOCITY KNITS PVT LTD carry out all the operations to perfection. 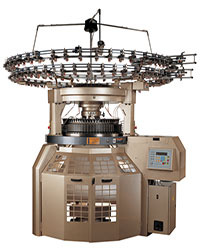 This enables the customer to have considerable saving in terms of time, labour and cost. 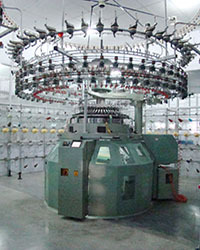 The success of VELOCITY KNITS PVT LTD lies in their constant quest for excellence, investment in the world class technology and a total commitment to customer's delight.